Although I prefer to dress in layers, I can't deny the fact that summer's fast approaching. Instead of avoiding it, I decided to get a head start by taking an early vacation at the beach! It's about taking things slow, appreciating the beauty around you and making the most out of the moment. We are only young once (or young-ish hehe). In fact, that realization had such a profound effect on me that I made a vow to visit the beach at least once a month this summer. I get so caught up sometimes in what I do, you guys might not understand, but for me, it's really important that I get reminded of these things. 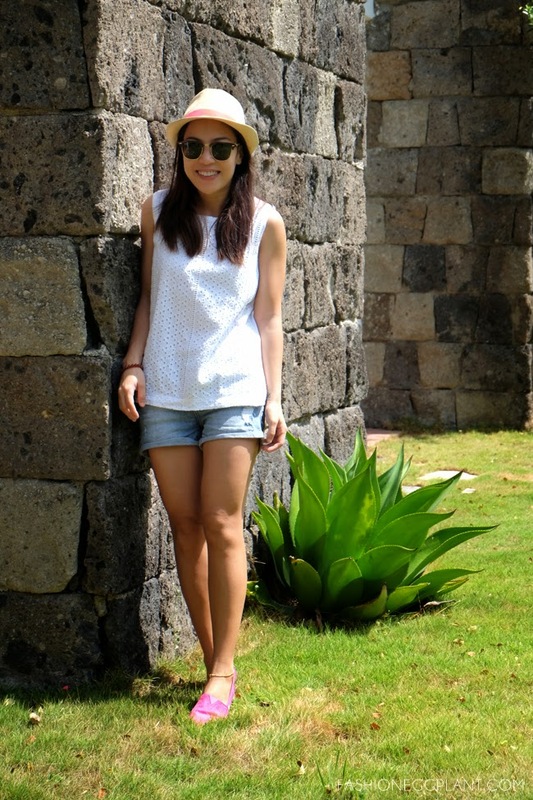 TOMS has and will always (probably) be the perfect summer shoe for me and the #HaiyanInitiative just gave me more reason to shop for a new pair. 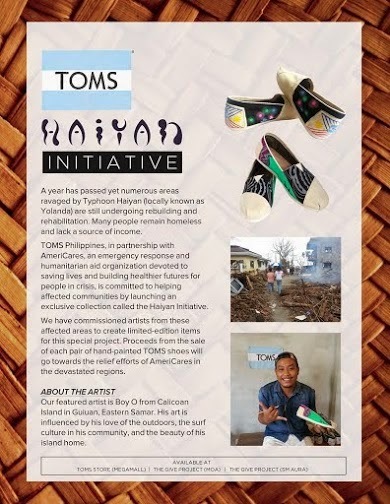 Lest we forget about the damage that typhoon Haiyan left, TOMS has made it a point to keep the issue current by supporting AMERICARES and their relief efforts in all devastated regions. Proceeds of each Haiyan Initiative shoe bought will go to the rehabilitation and rebuilding of those lives and homes that were destroyed by Yolanda. To this day, many remain homeless. If you would like to pay it forward and give your brothers and sisters hope and a reason to live again, I can't think of a better and easier way to do it than by purchasing a Haiyan Initiative shoe. Get yours at Nothing But H2O, TOMS Megamall and The Give Project. For more info, you can check out www.toms.com or connect with TOMSphilippines on Facebook, Twitter and Instagram. awww, the color is so nice! Nakakatuwa naman kasi aside sa pagbili nakakahelp pa sa mga victims ng typhoon. Will check this out soon. They look great on you! Anyway, I'd love to see the beach this summer, it's been a while since I've been in one, let alone, have a vacation. Sigh. I miss the beach. Last time I went to the beach was when I was 4months pregnant. Now the baby's 1 already. :( Anyway, love the color of your toms. Sigh! Can't wait for the kids to get out of school so that we can all enjoy the beach! Love your ootd details! The pink looks good on you! 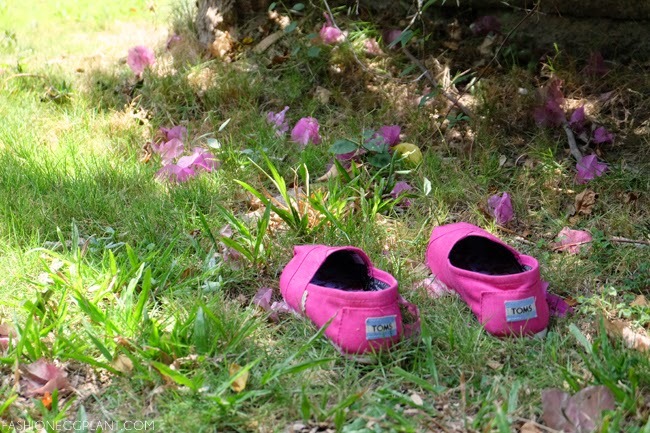 This is a great initiative from Toms. It's been some time already and it's sad to hear that many are still homeless.